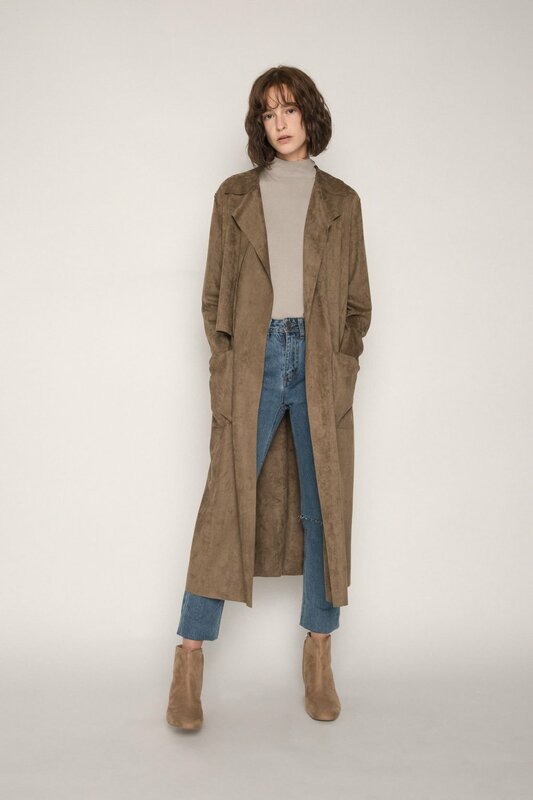 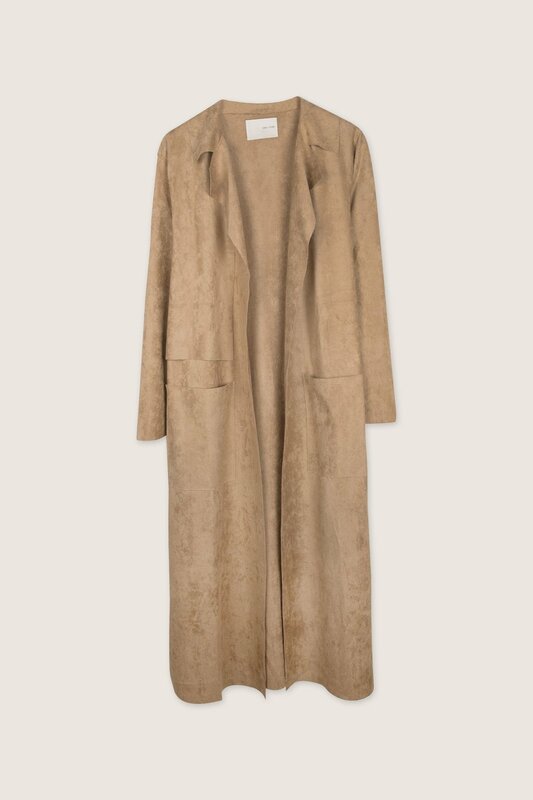 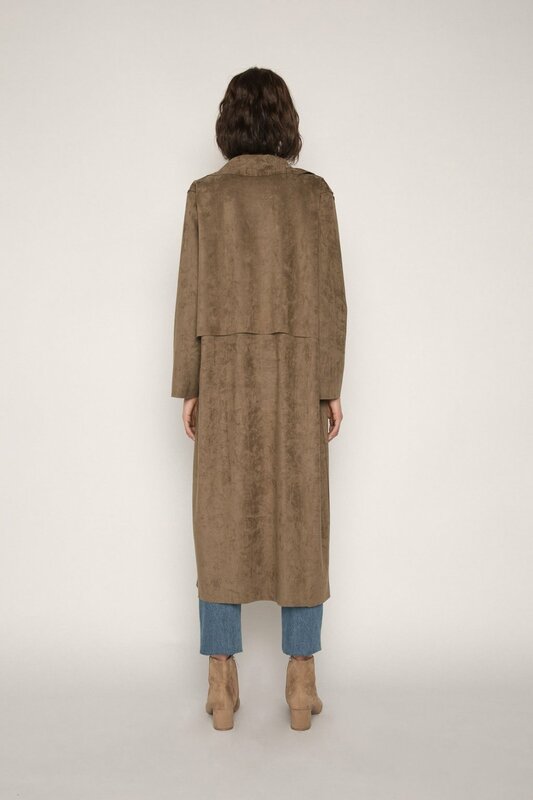 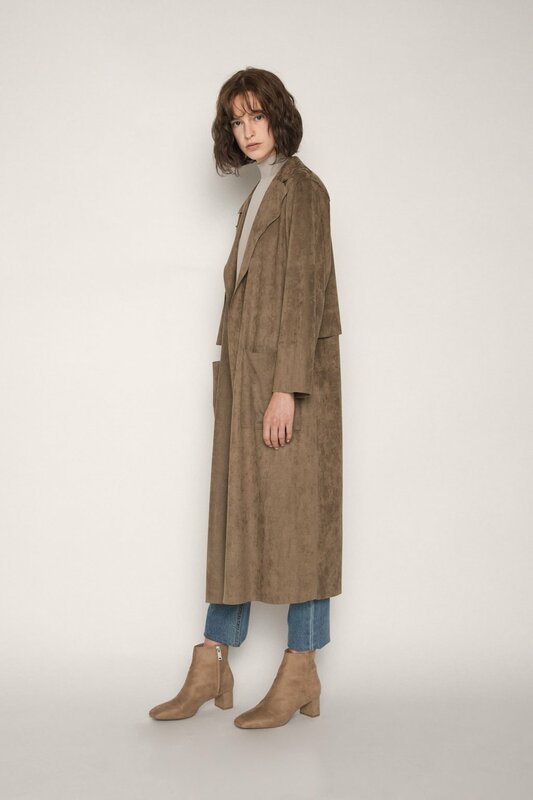 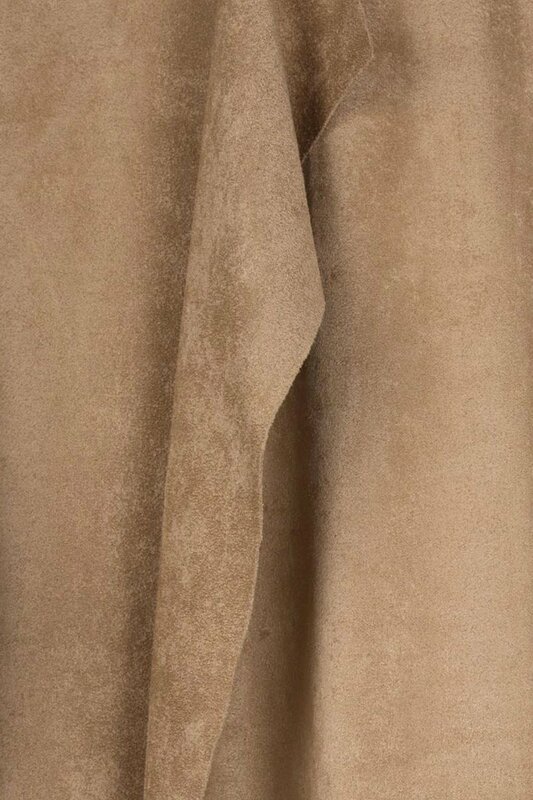 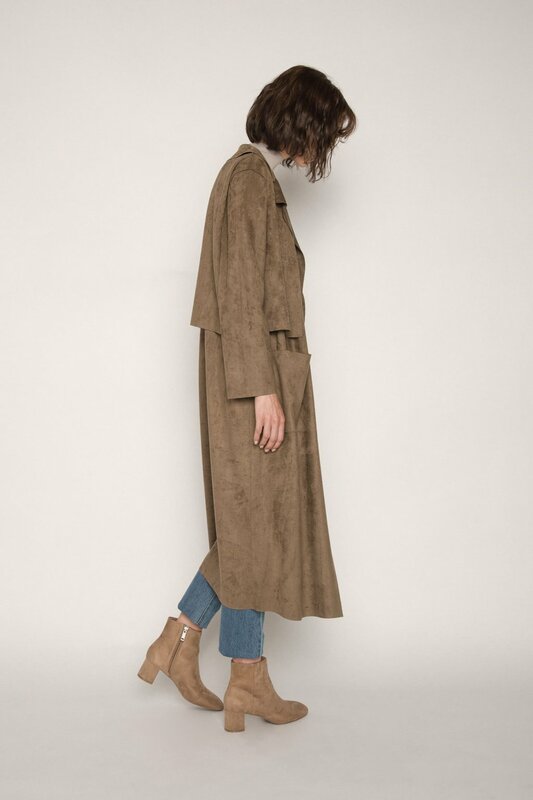 Exceptionally soft with a comfortable stretch, this vegan suede coat will get you ready for fall in no time. 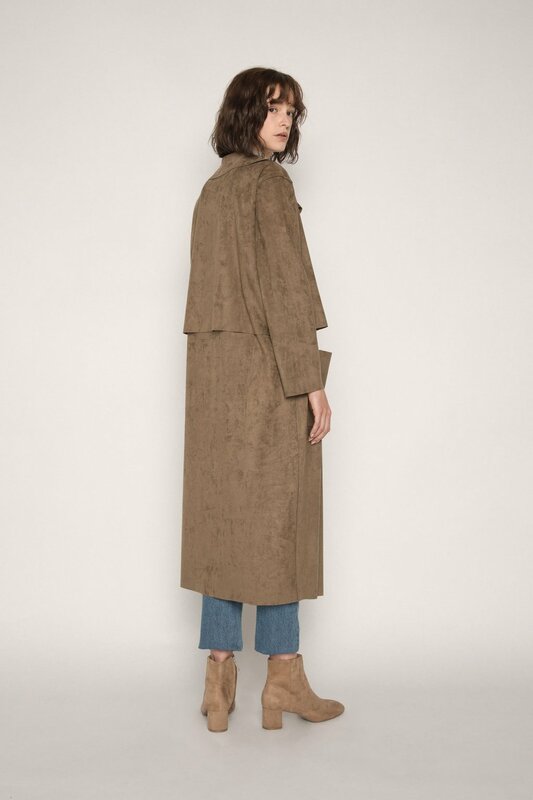 Raw edge hemlines, double layer back, and an elongated silhouette gives this piece an edgy yet effortless look. 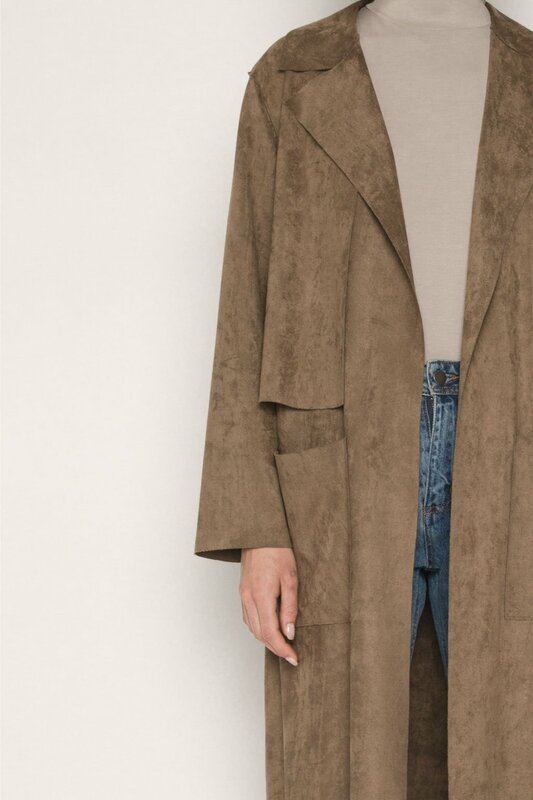 Throw it over a black sweater and ankle boots for a timeless look.